During the PICSI treatment, sperm were selected to fertilise eggs based on whether they could bind to hyaluronan, a substance normally found surrounding the surface of eggs. In a trial involving over 2,700 couples across the UK, researchers looked at the difference that hyaluronan made to the success rate of treatment for male infertility following injection of PICSI-selected sperm into the egg. Led by the University of Leeds, the study found no meaningful difference in full-term live births using the new PICSI technique, with a success rate of around one in four couples for both the PICSI and the standard ICSI treatment. Published in The Lancet, the study was the largest randomised controlled trial assessing whether or not PICSI would lead to more live births than current techniques, providing vital evidence to help guide both clinics and couples who are making decisions about treatment for male infertility. Although PICSI treatment did not significantly increase the number of live births, the researchers found that it significantly reduced the number of miscarriages by 39% overall (4.3% of couples on PICSI experienced miscarriage compared with 7.0% on ICSI). The couples involved in the trial were randomly assigned to either the standard ICSI treatment, or the new PICSI treatment, which costs more and is already offered in some fertility clinics, despite the lack of evidence that it increases success rates. Lead author Dr. David Miller, Andrologist at the University of Leeds, said: "ICSI treatment is currently used by millions of couples around the world and is becoming the dominant treatment for infertility in many places, so any improvements that can be made to the technique have the potential to create a widespread positive impact. "Our findings, however, suggest that more work is needed to refine and improve PICSI before it can be more widely recommended to treat infertility. "This trial has paved the way for further research to focus on miscarriage and look into exactly how and why hyaluronan-selected sperm can reduce the incidence of this devastating outcome." The study was funded by the EME Programme—a Medical Research Council (MRC) and National Institute for Health Research (NIHR) partnership—and supported by the NIHR Clinical Research Network Yorkshire and Humber. Co-author Professor Yakoub Khalaf, Medical Director and Consultant Gynaecologist at Guy's and St Thomas' NHS Foundation Trust, said: "Couples can be put under pressure to consider add-ons and other techniques that give them added hope and expectations of successful treatment, but it is important that there is good evidence to support their use. 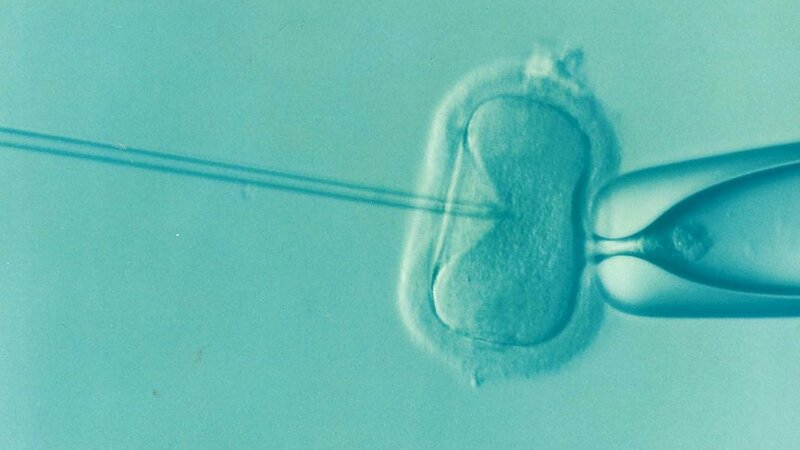 "We hope these new findings can help couples who are considering IVF to decide which treatments to choose. "IVF success rates have remained at roughly 25% of all treatment cycles for the past decade, so it is vital that we keep developing new effective techniques aimed at improving success rates." Led by the University of Leeds, the clinical trial was coordinated by Queen Mary University of London, and involved sixteen fertility centres in England and Scotland, as well as the Royal College of Obstetricians and Gynaecologists, and Examen Limited. Professor David Crossman, Chair of the EME Funding Committee, said: "We are very pleased to be supporting great research like this, looking at critical medical interventions. "This study adds authority to decision making in the field of IVF because of the careful way it was conducted, and the authors have shown there is little benefit to the new treatment. Whilst helping patients with their decisions these investigators have also highlighted the pressing need for further work in this important area." PICSI treatment is different to the commonly offered IVF treatment add-on 'embryo glue', as PICSI involves pre-selecting sperm based on whether or not they bind to hyaluronan. 'Embryo glue' involves the fertilised embryos being coated in hyaluronan to increase their chances of implanting in the womb. IVF is used to treat both female and male infertility, which each account for around half of referrals to IVF clinics for assisted conception. In treating male infertility, embryologists manually choose the best sperm with which to fertilise an egg, by sight for ICSI and by hyaluronan binding for PICSI, as the sperm would be less able to cause pregnancy naturally.